June 22-23, Sept 14-15. 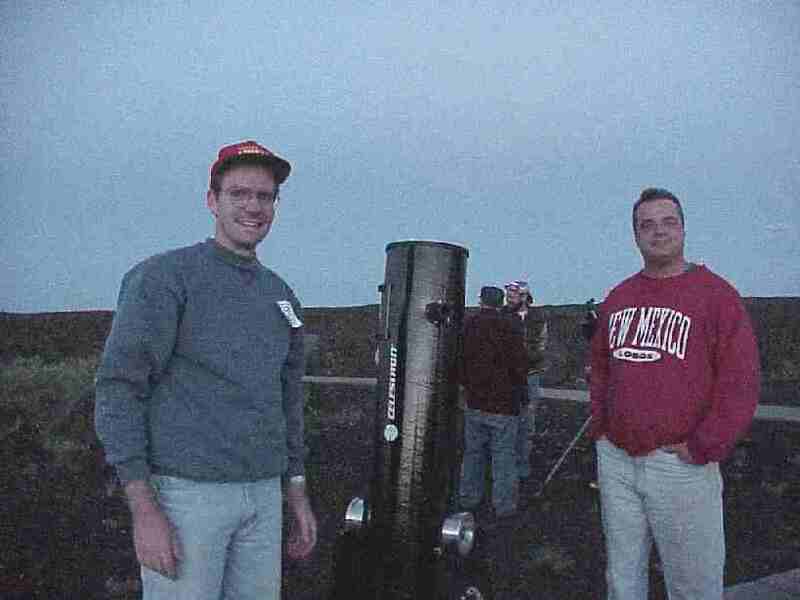 Craters of the Moon Star Party 2001 is held at the Craters of the Moon National Monument, (lat 43.4459, lon -113.53336) 18 miles southwest of Arco, Idaho, on Idaho Highway 26/93. It is named for its resemblance to the landscape of the Moon. Formed by huge lava flows, the monument features hiking trails, lava tube "caves", and some fascinating geology. 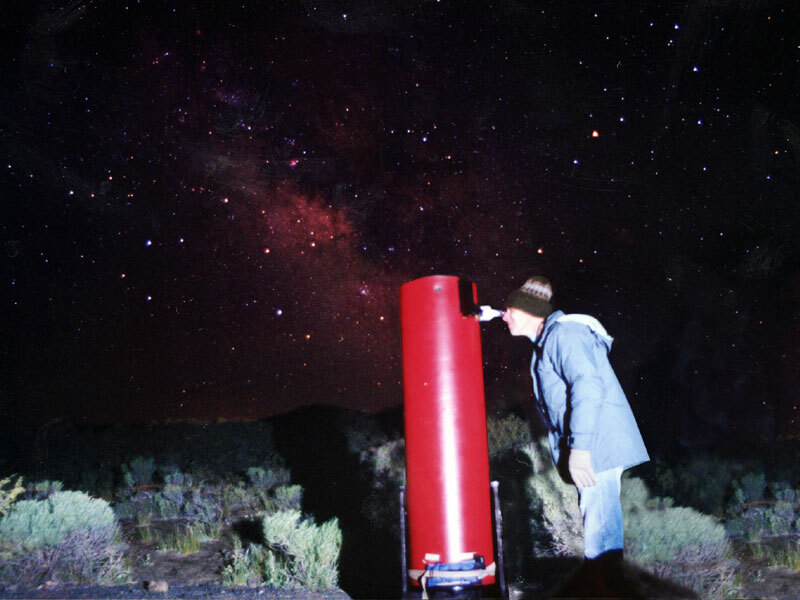 It's high elevation desert climate far from population centers makes Craters of the Moon a PREMIER dark sky location. The monument includes camping facilities and a Visitor Center. Warm Clothes! Craters of the Moon is warm during the day but gets cool at night. Remember, this is high elevation desert. Your own power for your telescope. Plugs are tough to find. Water containers as water is only available at the campground and the visitor center. Snacks to keep you going late. It will be dark around the telescopes so please be careful! We cannot be responsible for accidents or injuries. Entrance Fees: $4 per vehicle, $2 per person on bicycle, motorcycle, or on foot. There is no charge for the Star Party. There are no facilities in the park which provide food or lodging. Some motels are available in Arco. A campground is located among the lava formations just past the Visitor Center. There are 52-sites with a nightly fee of $10 per campsite. Flush toilets, drinking water, picnic tables, and charcoal grills are available in the campground from mid-May to early October. This is a first-come, first-served campground. Wood fires are not allowed. An RV dump is available but no hookups. Formed by volcanoes, it is named for its resemblance to the landscape of the Moon. The Craters of the Moon Lava Field is the largest (618 sq. miles) lava field in the United States. The monument which protects 83 square miles of the field provides a stunning array of volcanic features and is literally an outdoor classroom. The features include: lava flows such as pahoehoe, aa, and blocky;cinder cones; spatter cones; rafted blocks; and lava tubes (caves). It hosts a fascinating number of plants and animals adapted to live in the harsh volcanic and high desert environment. Numerous hiking trails are found in the park ranging from � to 8 miles round trip. The Visitor's Center is open from 8am to 6pm. Guided tours are available. Water is only available at the visitor center and the campground. Be sure to BRING A WATER CONTAINER. A flashlight is required to explore lava tubes (caves), and a hat is recommended. Bring sun-screen and sunglasses.